Labor Relations Training | HR Consultant | Employee Relations Training - Hutchison Group, Inc.
As a member of the Hutchison Group team, Nancy Smith plays an important role in assessing our client’s employee relations environment and identifying opportunities for improvement. Nancy is very effective in working with people at all levels of the organization and widely respected for her judgment and developing strategies for resolving problems and improving cooperation and teamwork. 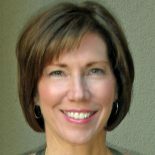 Prior to joining the Hutchison Group, Nancy spent over twenty years working in the health care field as a registered nurse and educator. Ms. Smith is a graduate of Indiana State University and Butler University.